He kinda grew on me and I became his second little momma. 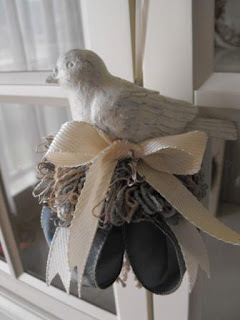 Hey your doing GREAT with your Blog and I love how pretty it is...and your crafts are FAB. I need to get me one of those beauties you make but you have to meet me for lunch with it! That's the condition. HA! Let's work on that....my summer is CRAZY busy so far though how about you? Miss Priss is going to camp with HPC real soon is your daughter going too? Oh I wrote you back a comment on my site...HA! But what I basically said was........"go on a trip NOW" because the gas is out of control....it's higher in other places other than our state too...it's was nearly 10 cents a gallon higher in Biloxi. Blah! But it's way higher where our oldest son is on the East Coast. Thanks for sharing that bit of you. It's so hard to get to know people and it only happens for real when we're willing to share who we are. I'm so excited for my tassel! Thanks for stopping by my blog; I love to make new friends. Your tassels are spectacular and much more reasonable than the the other Southern gal who makes them. I am going to send a link to my friend Martha( the one hanging around in my house tour pix) who was thinking of having a custom one made. Susie, I'm so sorry to hear you lost your brother. That must have been such a hard thing to go through. God does get us through the tough times though. I found you through Bless Our Nest. Love your blog!! Sorry to hear about your brother. 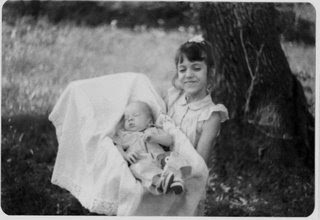 I, too, was the baby until I got a little brother-I was almost 10. And, wow, you and your sister favor one another!! Words can rarely convey the feelings of wanting to comfort those that hurt~and I wish it were easier to do so. I am sorry that you and your family have to travel this path ~ it brings peace to know you never walk alone. I would love to purchase the bird tassel and will visit your store! 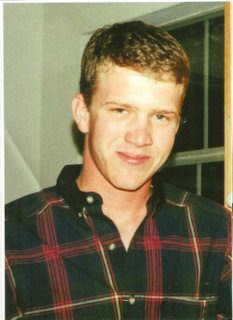 Susie, Your brother was such a handsome guy and my hearts breaks for you and your family! I got my birdhouse tassel in the mail last night! I absolutely LOVE it! And the packaging made it extra special! It is beautiful! Thank you for this post, and a little peek at your world! Your tassels are fabulous!!! Thank you for sharing! And I am so glad that you make those cute little sweets! I am gonna get me one, one of these days, and I am keeping you in the list of must buys for the holidays! And I am SO happy that you blog, because I LOVE reading it! I thank you for stopping by my ~Special Delivery~ post so now I can have this connection to your site! and you probably know why! hugs to you NG love your talent! Thanks so much for stopping by my little blog... Your brother is beautiful....a very sweet post... made me cry.. good cry..
hey !i love all your lovelies! Thanks for leaving a comment on my blog. I love yours and this post was so touching. I loved some of your other posts--you're so creative! I'm so sorry to hear about your brother. I've never lost anyone close like that but I understand the need to keep my mind busy and going, especially during difficult times it's what keeps me sane. I love your tassels - I've always wondered how to make those! Nice to meet you! Thanks for visiting my blog! I am so impressed by yours. It is so beautiful! And I love your "sweets" you make! I appreciate you sharing your story about your brother. We all need to be reminded how precious life is. Thanks for visiting my blog. I think that we have VERY similar taste!! I even spotted some items in your home that I have, too. Love your tassels....I will have to look you up at Canton in October. I missed May, but will not miss October (hopefully). Are you on the Square?? 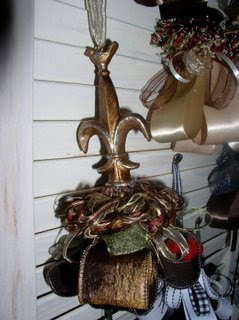 I am 2 hours south of Canton....Love your fleur de lis, too....Oh! and The Royal Standard, too. I shop with them at Mistletoe Marketplace in Jackson. I'm glad you stopped by my site and said, "Hello"-Thanks for the compliments on my photos. I can't believe your Dad has a place in Sequim ! My husband and I just drove through Sequim the other day on our way to Ruby beach-Your dad will have to check out Ruby beach (there are pictures of it on my site) Sequim is so beautiful and temps around here are mild, a far cry different from Louisiana. If he needs any information about the Washington area just write and let me know I'd love to help. Thanks for commenting on my blog. What a great blog you have! So many great ideas and what adorable tassels. I'm so sorry to hear about your brother. I can't even imagine. I have 3 younger brothers and always thought growing up that they were here to make my life miserable. Now that they are adults I appreciate them so much more and couldn't imagine life without them. Anyway, I look forward to seeing your imperfect beautiful pictures later. Thank you for stopping by my blog and leaving such a sweet comment! And I'm thrilled to have found yours now. You have such a wonderful sense of style and I can't wait to see more. My dear brother went home to God in 2006, rather unexpectedly, he was my last living sibling and it broke my heart to lose him. I'm so sorry for your loss. Thanks for stopping by my blog and commenting, you shared so much with your recent post and my heart goes out to you! 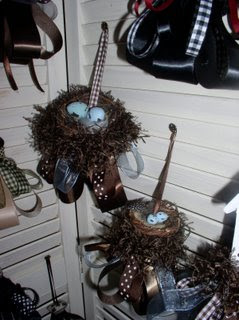 Love your tassels so talented If you have read my blog you know tha t I've been going cottage so I'll keep you in mind! Thank you for sharing about the loss of your brother. My father passed away almost a month ago, and I too have found comfort in keeping busy. I began sewing rag quilts and in a matter of two weeks, was working on my third. I have slowed down some, being in a different stage, I think. Plus I did not want to neglect my husband and children. They were so sweet to give the space I was needing, to me. I tend to grieve alone. God has been so good to me during this dark time. Maybe one day I will work up the courage to share how some of my dad's final days were ~ such grace from the Lord in his suffering. I will never doubt His sovereignty. He allowed His mercy to overflow in my life during this time. Simple words cant take away your pain... but I just wanted to let you know Im very sorry for your loss... he was a handsome young man and very lucky to have you for his sister. I have 2 daughters that are 10 years apart, and now I have 2 that are 15 years apart. Life is precious for sure. It's so sweet of you to share yourself. I love your crafts, just FABulous. I'm a new reader and new addict of your blog.